Folkmoot starts Thursday! R U Ready?? 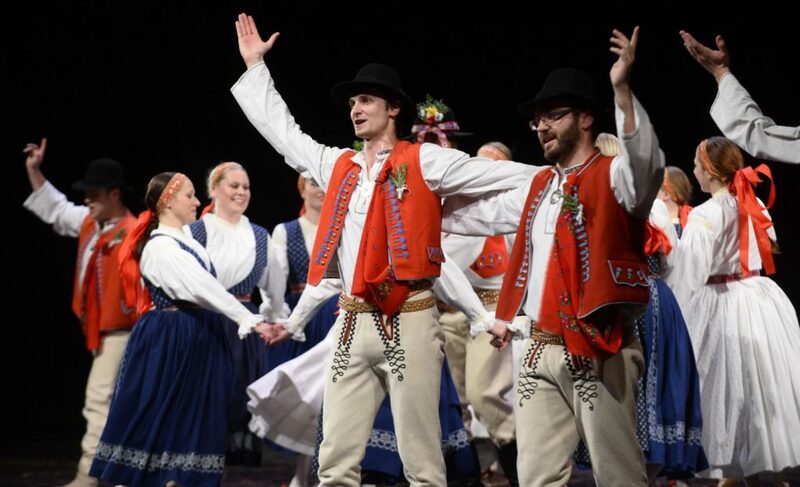 Folkmoot 2018 – the 35th edition of North Carolina’s official international folk festival – opens Thursday with its annual Gala Under The Stars, moves rapidly to Camp Folkmoot for kids, two grand opening performances – a matinee at Folkmoot Center and the traditional grand opening performance at Lake Junaluska’s Stuart Auditorium – and into the first huge weekend of activities including the always popular Parade of Nations down Main Street in Waynesville, Many Cultures Day at Folkmoot Center, a full performance at Haywood Community College, a trip to Hickory NC, and a very special Sunday Soirée in Waynesville! 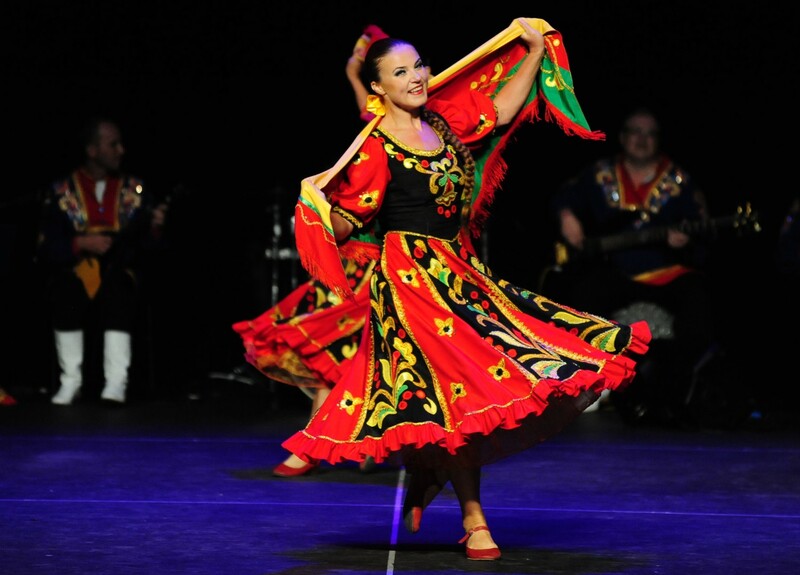 Folkmoot 2018 runs through July 29 and will feature performing dance troupes from Ghana, Italy, Czech Republic, Mexico, Thailland and Northern Cyprus and Venezuela as well as Anglo Appalachian and, as always, Cherokee dancers and musicians. Once here for the festival we invited you to stay awhile and enjoy all our beautiful region has to offer. Named by USA Today as one of the Top Twenty Festivals in North Carolina, Folkmoot 2018 will bring dance and music to colorful life in Waynesville, Clyde, Lake Junaluska, Maggie Valley, Canton, Cherokee, Franklin, Hickory, Asheville, and Hendersonville. Gala under the Stars, July 19 – 7:00 p.m., Annual Fundraiser for Friends of Folkmoot, $175 per couple. The Gala is the kickoff event for the festival and a fundraiser for Friends of Folkmoot, sponsors and their guests. Held in Waynesville in the field adjacent to the Friendship Center, Friends of Folkmoot members will enjoy specialty foods and beverages while cultural performers take the stage under the stars for their first appearance of the festival. Camp Folkmoot – Hands around the Globe, July 20 – 9:00 a.m. – 2:00 p.m., $30. Dancers of all abilities ages 10 – 17 years who are inspired by dance and live music can learn international folk dance moves with cultural ambassadors in Waynesville to perform at the Folkmoot Festival. Learn basic concepts and movements, gain an appreciation of the similarities and differences between cultures and hear the timeless, captivating stories behind the dances of each international group. The day includes “make-and-take” cultural crafts and culminates in a short performance with the groups and community participants. Families and youth groups are encouraged to register. Snacks, lunch, and drinks will be provided. Tickets for this event are $30 per camper and will include lunch, snacks and supplies. Discounts are available to groups of four or more if pre-registered together. For more information, contact Elizabeth Burson, 828-452-2997. Many Cultures Day, July 21, 2017 – 11:00 a.m. – 4:00 p.m., $5 admission. This outdoor event is in its third year, scheduled for immediately after the Parade of Nations in downtown Waynesville. The event features live art demonstrations, 30-vendors, youth activities hosted by community groups, ethnic food trucks, international performers, community dance lessons, a youth performance stage with local youth fiddlers and dancers; additionally, there will be two Cherokee stickball game demonstrations. The cost of this outdoor festival is $5 for individuals over 5 years old. Sunday Soirée , July 22 – 7:00 p.m. Celebrating our second year of the Sunday Soiree, the community is invited to experience the foods of eight world cultures, presented by the chefs of the Blind Pig Supper Club with entertainment provided by regional youth celebrating cultural arts. Performers will represent Appalachian, African, American Jazz and Cherokee cultures and then meet and greet Folkmoot’s international performers over dessert! Our schedule is subject to change. Please check the festival schedule page here on our site for additions or cancellations or call the ticket office, 828-452-2997. All tickets are subject to NC sales tax and an online service fee. The number of performance groups is included for each venue. July 19: Gala on the Green – An opening party & performance for Friends of Folkmoot. July 20: Camp Folkmoot – For kids! Learn international folk dances from our visiting performers! July 20: Grand Opening Matinee – Queen Auditorium, Folkmoot Center. 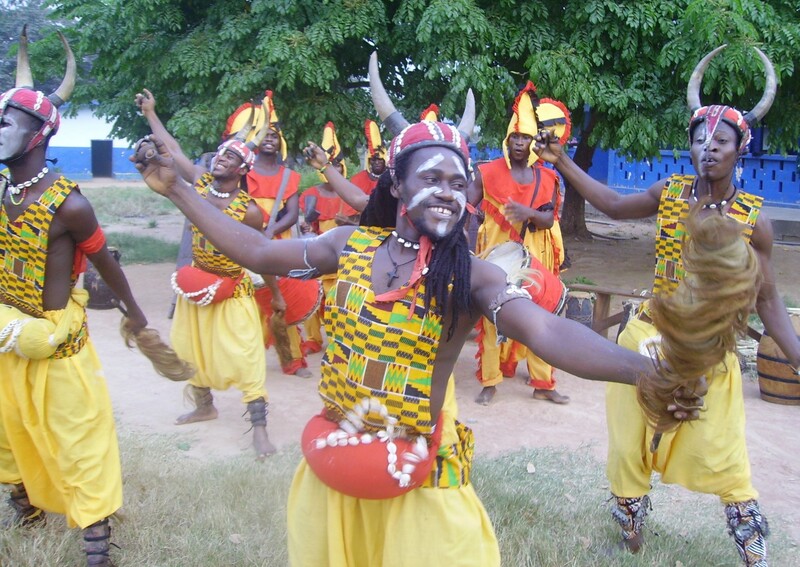 All groups will perform followed by cultural conversations with the audience and dance troupe members. July 20: Grand Opening Extravaganza! In Lake Junaluska’s Stuart Auditorium, always one of the festival’s highlights! July 21: Parade of Nations! A public event, beginning at 10 a.m., in which all visiting dance troupes (and many others) parade down Main Street, Waynesville, in one of the festival’s most colorful and joyous events. It’s free and open to the public. Y’all come! July 21: Many Cultures Day! Come to our Folkmoot International Center immediately after the Parade of Nations. The event lasts until 4 p.m. and features 30-vendors, youth activities hosted by community groups, ethnic food trucks, international performers, community dance lessons, and a youth performance stage with local youth fiddlers and dancers. There also will be two Cherokee stickball game demonstrations. The cost of this outdoor festival is $5 for individuals over 5 years old. July 21: Haywood Community College. A full performance by all visiting dance troupes. One of the most popular performances of the festival each year. July 22: Hickory, North Carolina. Two performances, 2 p.m. & 5 p.m. Hosted by the Hickory International Council in the Drendel Auditorium (4 groups) *includes post-performance Cultural Conversations. Tickets will be available through the International Council & Drendel Auditorium when they are made available. July 22: Sunday Soirée, Waynesville, Folkmoot Greenspace, Folkmoot Center. An international friendship dinner, beginning at 5 p.m., featuring food from the Blind Pig Supper Club and conversations, entertainment by Western North Carolina youth cultural groups. July 23: a free day for our performers. You might run into them anywhere exploring our beautiful Smoky Mountains! July 24: Cherokee Ambassador’s Day, 3 p.m., Cherokee Central High School, Cherokee, North Carolina. The cost is $20 for adults, $5 for kids and it’s an extraordinary opportunity for our visiting performers to engage with and learn more about our region’s treasured Native American culture & history. July 24: Canton, North Carolina. A 7 p.m. performance in the historic Colonial Theater followed by an after-party at Bearwaters Brewery. July 25: Hendersonville, North Carolina. A 2 p.m. matinee performance at Blue Ridge Community College will feature all performing troupes. July 25: Maggie Valley Welcome Wagon, Maggie Valley, North Carolina – Elevated Mountain Distilling Company. 7 p.m. A very special and intimate performance by three to four of our visiting dance troupes. July 26: Folkmoot Center. 12 p.m. – 3 p.m. – Hazelwood Neighborhood Hospitality. Meet & Greet with Performers. July 26: Franklin, North Carolina. A 7 p.m. performance at the Smoky Mountain Performing Arts Center (All groups). July 27: Asheville, North Carolina. A 2 p.m. matinee in the Diana Wortham Theatre. A 7 p.m. performance in the Diana Wortham Theatre. July 28: International Festival Day – Downtown Waynesville, North Carolina. 10 a.m. to 5 p.m. Another free and public event, a wonderful day of celebrating international friendships and cultural exchange! July 28: Performance of all groups at Haywood Community College, 7 p.m.
July 29: Candlelight Closing, Stuart Auditorium, Lake Junaluska, North Carolina. A rich, colorful & emotional last festival performance filled with tradition, joys and even a few tears! The Folkmoot staff is preparing for Thursday’s festival opening!